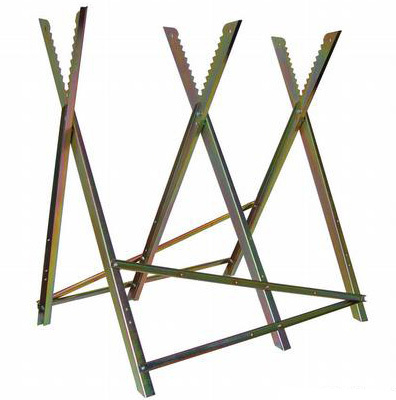 This folding, adjustable saw horse is of steel construction. With a maximum weight capacity of 100kg, this saw horse is strong and is 76cm wide. Serrated edges hold logs firmly during sawing. Folds flat to save storage space when not in use. Delivery of this item is FREE to mainland UK addresses (Highlands and Islands extra). Delivery normally next working day, if ordered by 12.00 noon, but please allow three working days.